I am so excited to be able to offer you a paper share for the upcoming Occasions & Saleabration Catalog. 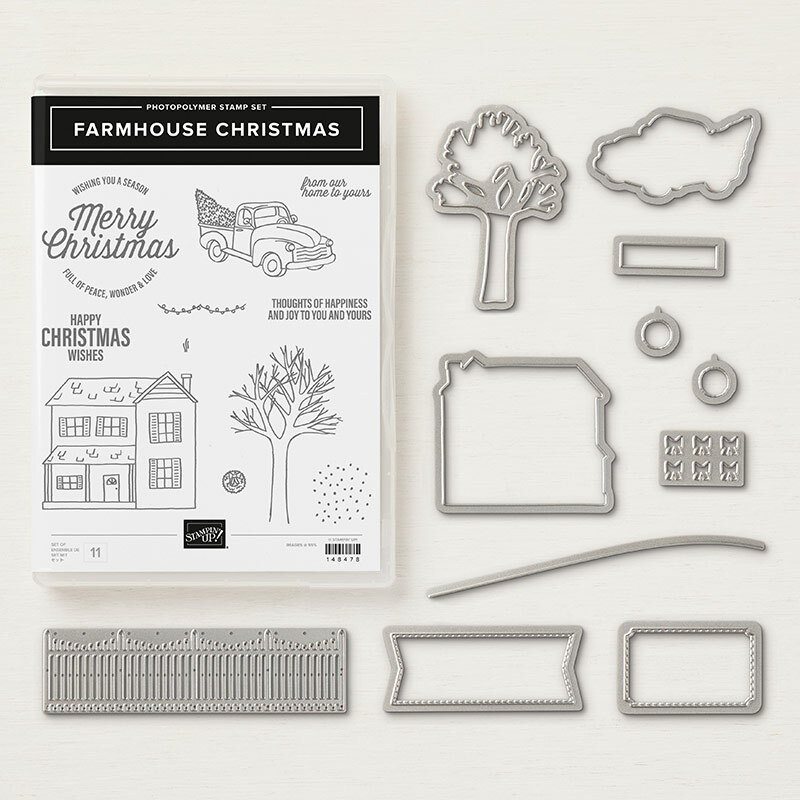 You will receive all the papers from the catalog except the Beautifully Detailed Laser-Cut Specialty designer paper. It is a very delicate paper and will not divide evenly. For a grand total of 90 sheets of paper. The total cost of the share is $32.00 which included priority flat rate shipping to you. Click below to register for the paper share. I will send you a PayPal invoice on December 28th. Monies must be paid by January 2, 2019 and I will place the orders on January 3, 2019. Click here to receive a copy of the Occasions & Salebration catalogs. Check out the video to see the papers up close. 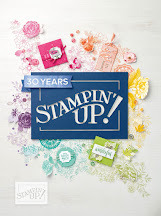 I had a blast at the November OnStage by Stampin' Up! I learned so much that I am ready to put it into practice. Take a quick peek of some of the highlights. 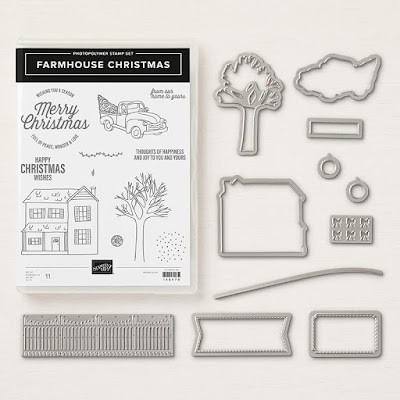 Farmhouse Christmas Bundle by Stampin' Up! 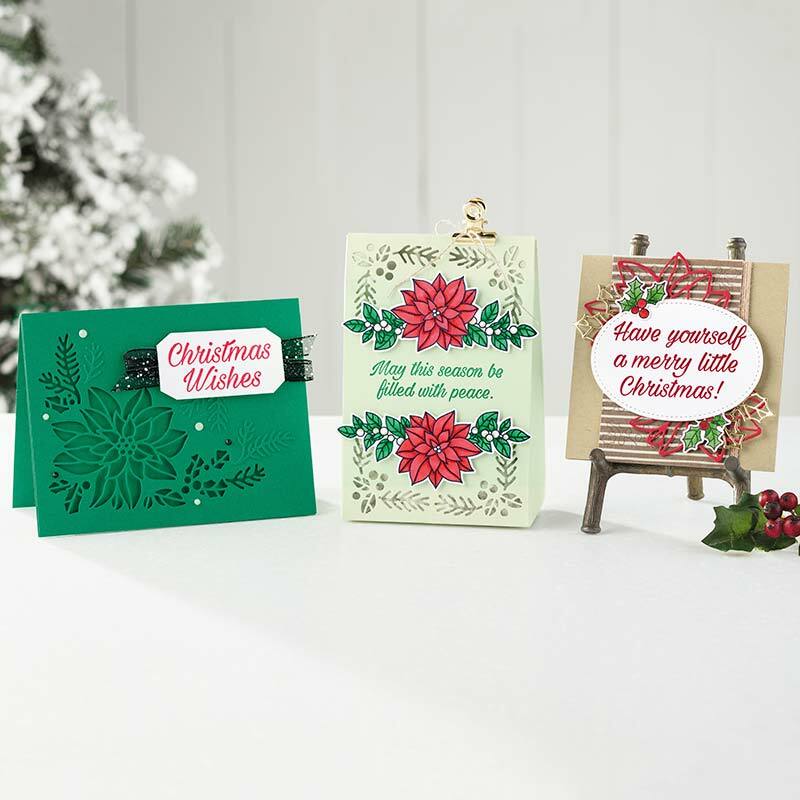 This set is so versatile and not just for Christmas. 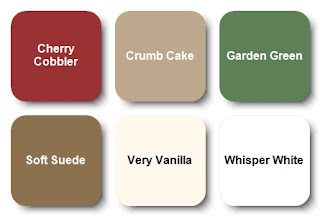 You can pretty much use it all year round. I can see myself using it again and again. Don't you? 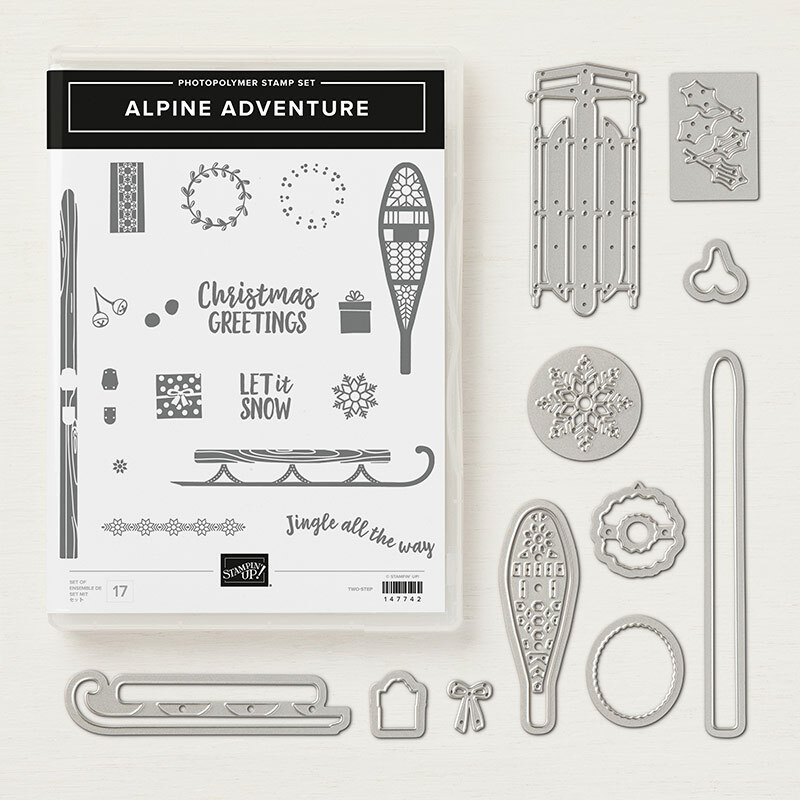 Alpine Adventure Bundle by Stampin' Up! This is a fun winter set that is for the snow loving person. It's all things winter. 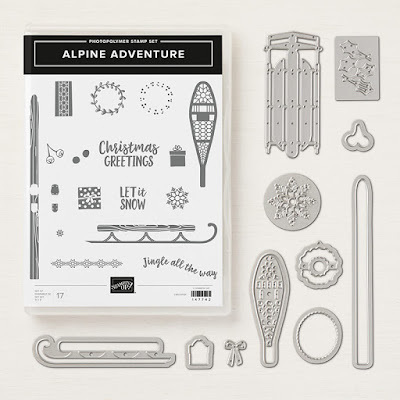 From sleds to snow shoes you'll need this to create your cards and also for memory keeping. Create a scrapbook page using the images and dies to document the fun you had. 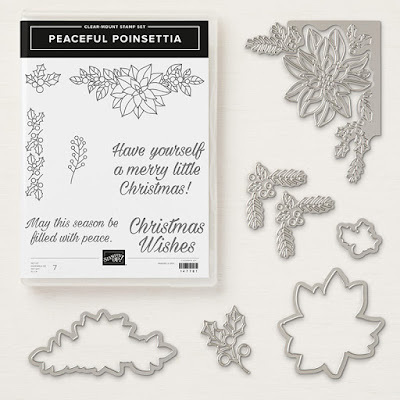 Peaceful Poinsettia Bundle by Stampin' Up! How cute is this set? 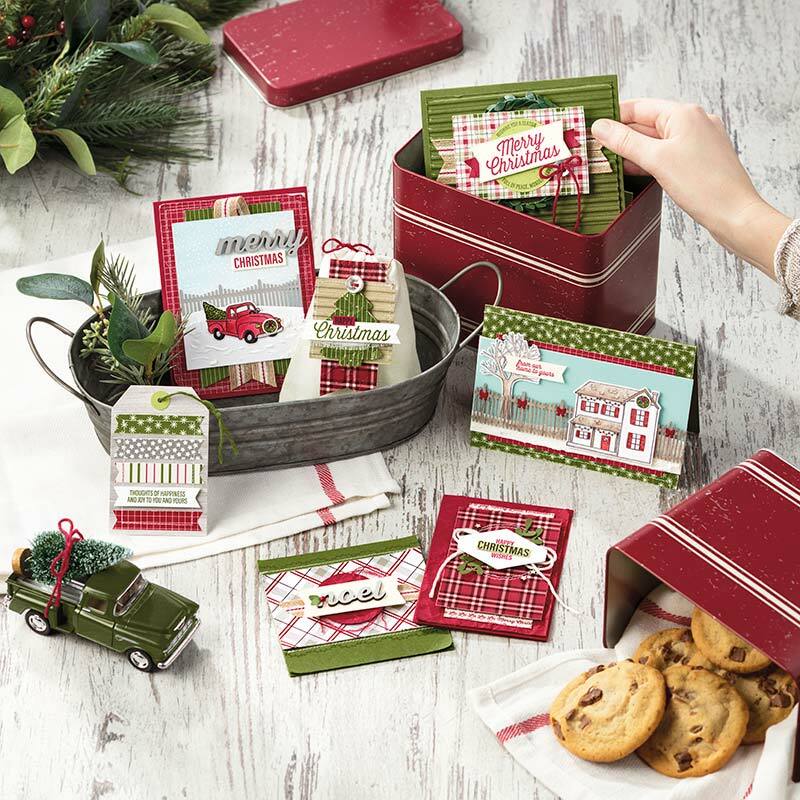 This has to be one of my most favorites in the holiday catalog. And yes, I do have a lot of favorites. I love the fact that you can cut into the cardstock or cut the image out and layer on top. This set is one I will have to keep and use year after year. Just four (4) days left to subscribe to the November Paper Pumpkin Kit. 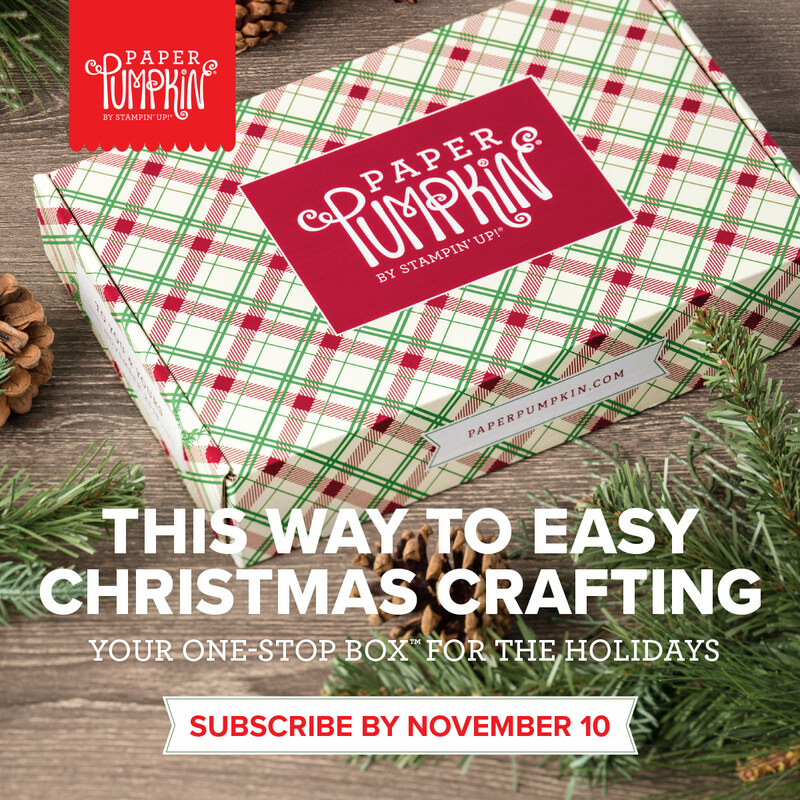 Subscribe by November 10th to get your kit at paper pumpkin kit.